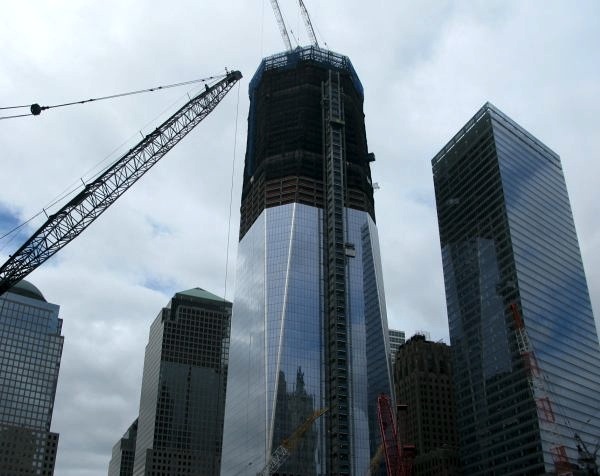 I was downtown yesterday for a meeting to discuss the picnic for the 9/11 volunteers, first responders and recovery workers, and I was amazed with the progress they’re making on One World Trade Center (aka the Freedom Tower, but I hate hate hate hate hate that name). My pictures don’t capture the sheer beauty of it. Christ it’s going to be stunning. 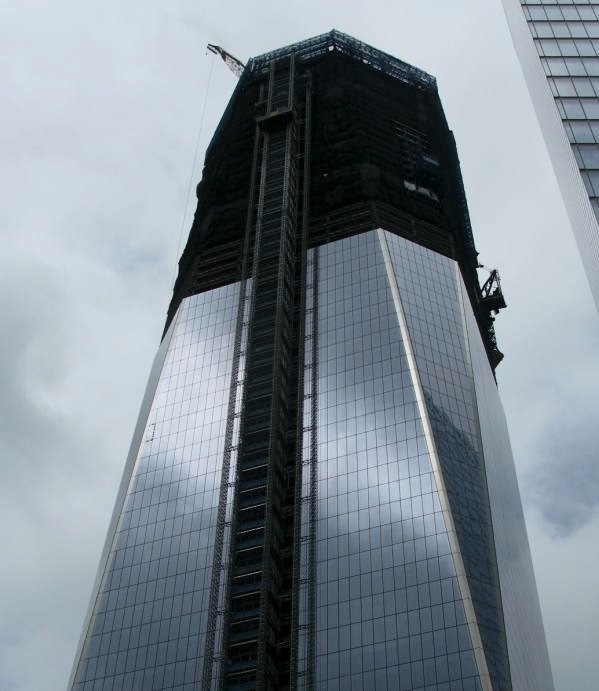 One World Trade Center, will you marry me? I went downtown for the first time in a good while recently. I came around the corner and saw that building and it completely knocked my socks off. I totally agree with all aspects of your reaction except the marital part. There’s a rumor that we will be moving into that building. I DON’T WANT TO. Yeah, no one I’ve talked to wants to, unfortunately. Also, do we even need all these new buildings? Isn’t there a lot of available office space around the city? But I want just this one. All the other news ones are the mistakes. Just this beautiful one would have sufficed.